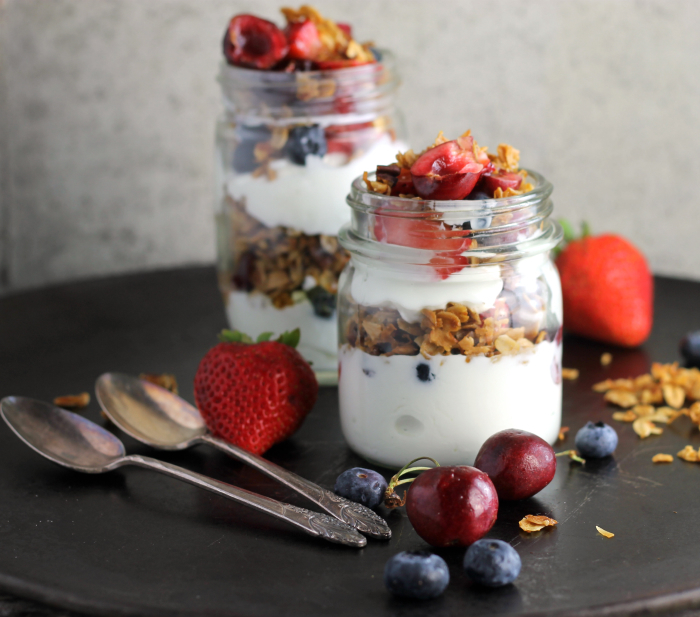 Try this homemade granola Greek yogurt breakfast parfait for a healthy start to your day. Homemade granola with creamy Greek yogurt, your favorite fruit, and a touch of honey… so good. Well, I am finally back, from my break. It seems like ages ago since I have added anything to this blog. Yep, I have missed it. Oh, and I have missed all of you! So needless to say that I am happy to be back. I hope that I will see my readers come back.